The Minister for Justice says the Gardaí can’t devote resources to protecting gangs who in turn are devoted to avoiding Gardaí. 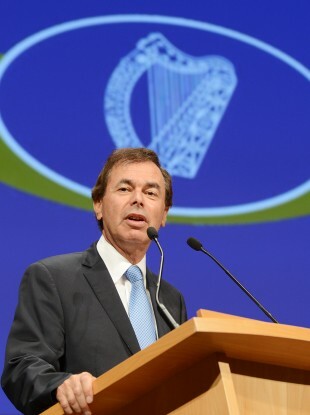 JUSTICE MINISTER Alan Shatter has said Ireland’s criminal gangs should not expect to avail of the protection of the Gardaí. Speaking in the Dáil last night Shatter said the government would surrender “no part of this country to any criminal gang of any description, nor will we do so to the criminal gang made up by the so-called Real IRA”. Contributing to a debate on the recent spate of gangland murders in Dublin, Shatter said it was “unrealistic to expect that the Garda Commissioner can devote his entire resources to individually protecting people who are routinely trying to avoid the Garda so they can continue to engage in criminality”. “Such an approach could only come at the expense of ordinary Garda activity to protect the community generally,” he said. The minister said he would do everything in his power to assist Gardaí in tackling gangland crime, and that Garda Commissioner Martin Callinan “has my full support in continuing to confront this type of criminality and in bringing those involved to justice”. “As far as I am concerned, we are not on a slippery slope,” he said. It is a great pity that many of those engaging in thuggery and barbarism [...] do not take cognisance of the fact that the history of drug gangs in this State and elsewhere is that whatever brief feelings of power they have and for whatever brief period they gain wealth from their activities, most of these individuals have brief lives of violence that end violently. I am sure they do no listen to what we say here but it is time they considered the impact on their families and communities as a result of their conduct. Email “Shatter: Criminal gangs can't expect protection of Gardaí”. Feedback on “Shatter: Criminal gangs can't expect protection of Gardaí”.